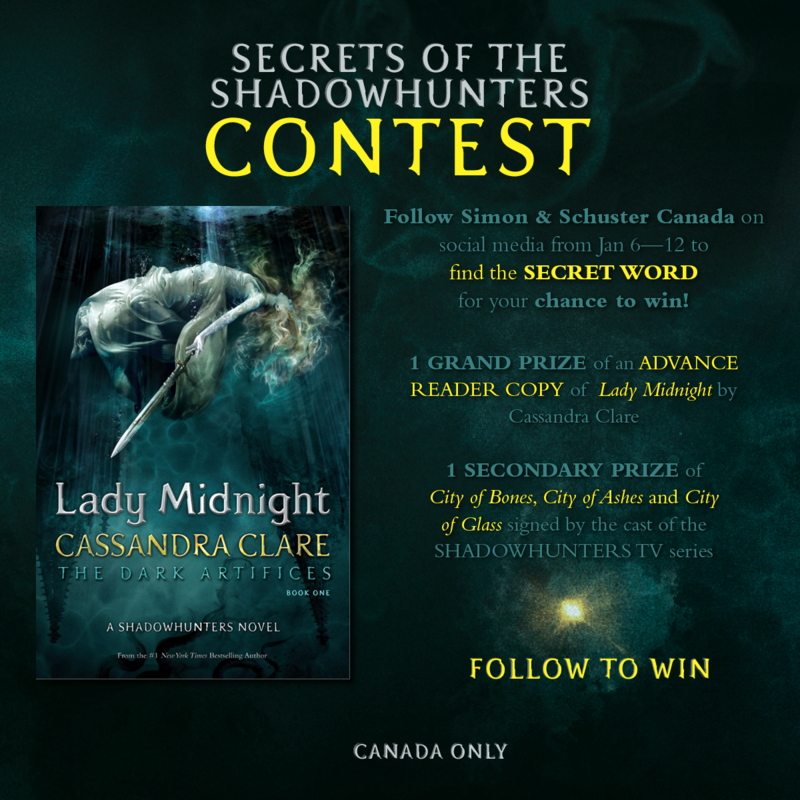 Sharpen your seraph blades and put on some runes because Simon & Schuster Canada is giving away one ARC (Advanced Reader Copy) of Cassandra Clare’s Lady Midnight, but there is a little twist! Canadian fans have to follow Simon & Schuster Canada on social media and find a secret word to be eligible to enter. The second prize is the first three books of The Mortal Instruments signed by the Shadowhunters cast. Click here for more information and make sure to read the rules and regulations. Good luck to all the Canadian Shadowhunters out there! An invitation, a mysterious key, a letter and the Lady Midnight Advance Reader Copy for those who win… Details soon! 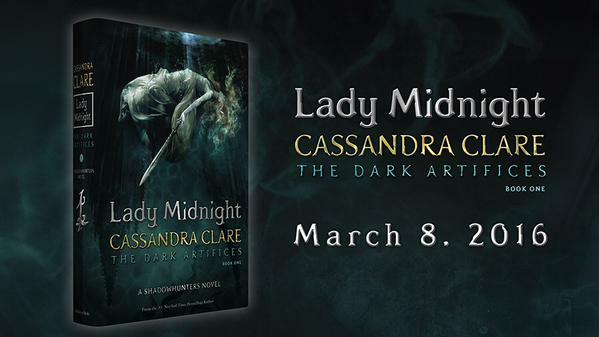 Lady Midnight will be released on March 8! It is in rare times like this that I wish I were a citizen of Canada. Not. But any-who, could anyone tell me if I will get my pre-ordered copy of Lady Midnight on March 8th, or will it just ship out that day? I know it has nothing to do with the Canada competition, but I figured someone might see this comment here, since it is a newer article. It is nice to see another country besides the U.S. get a contest. We will let you know about other contests as soon as we have any news.